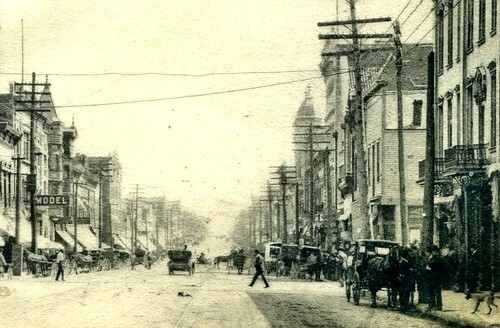 The Club Saloon, the second front visible on the right side of the photograph stood at the valuable corner of Fourth and Main Street, across from the Old Joplin Hotel. The ill-fated RMS Lusitania via Wikipedia. So who was this saloon owner who lost his life on May 7, 1915, when a German U-Boat U-20 torpedoed the RMS Lusitania off the southern coast of Ireland? Dear Mr. Spurgeon: I reached New York last night and have booked quarters on the Lusitania of the Cunard line. The boat sails at 10 o’clock this morning. It is an English ship, but I guess I can get through on it all right. As soon as news arrived of the ship’s sinking, Spurgeon immediately sent a cablegram to Ferguson’s father in an effort to find out if Ferguson was among the survivors. A few days later, Comack Ferguson sent a cablegram to Spurgeon stating, “Cannot get any account of John.” In the week that followed, it became clear that Ferguson had not survived. Spurgeon told the Joplin News-Herald that as Ferguson’s attorney he had never drawn up a will for his client, nor had he heard Ferguson discuss a will. The News-Herald surmised that if a will was not found in Ferguson’s personal papers, his estate would go to his father, three brothers, and two sisters. Spurgeon estimated the estate’s value at somewhere around $75,000. On May 19, Spurgeon, acting as the administrator of Ferguson’s estate, closed the Club Saloon and the Union Bar. Because the liquor and business licenses were in Ferguson’s name, the businesses could not operate after an administrator was appointed. 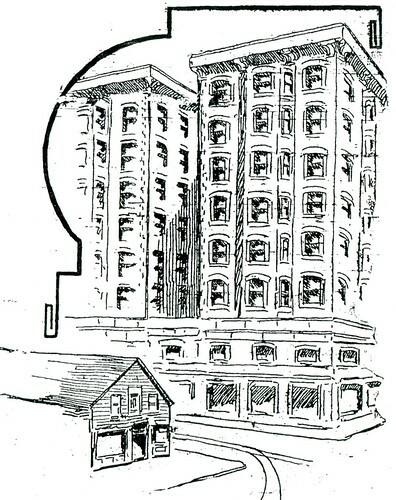 The Club Saloon was quickly overshadowed on the west side of the intersection of 4th and Main by the Connor Hotel. After the Lusitania disaster, family members sued the German government, and it was not until after World War One that these claims were settled. The family of John Ferguson apparently filed a claim, but as the record below indicates, his family was denied restitution. John Ferguson, a naturalized American citizen, 43 years of age, was a passenger on and went down with the Lusitania. He had never married. He left him surviving as his sole heirs-at-law a father, three brothers, and two sisters, all of whom were at that time British subjects. He died intestate. J. H. Spurgeon was appointed, qualified, and is the acting administrator of the decedent’s estate. While the value of this estate is not disclosed by the record it was evidently substantial. All liabilities of the estate have been discharged. The record fails to disclose any damages resulting from the death of the deceased, or from the loss of his property, and suffered by one possessing American nationality at that time. Applying the rules announced in the Lusitania Opinion, in Administrative Decision No. V, and in the other decisions of this Commission to the facts as disclosed by this record, the Commission decrees that under the Treaty of Berlin of August 25, 1921, and in accordance with its terms the Government of Germany is not obligated to pay to the Government of the United States any amount on behalf of any of the claimants herein. Done at Washington January 7, 1925.